Copyright International Ammunition Association, 2009. All rights reserved. 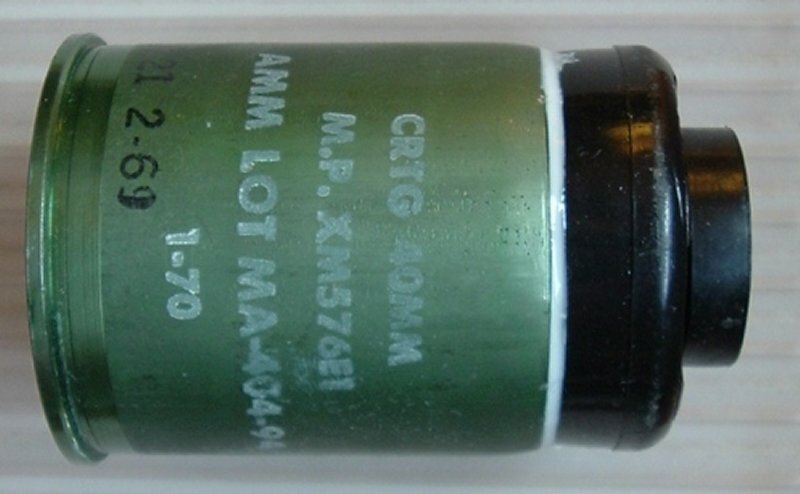 A huge number of experimental 40mm rounds were developed for the M79 grenade launcher during the 1960’s and 1970’s. This is a buckshot loading. 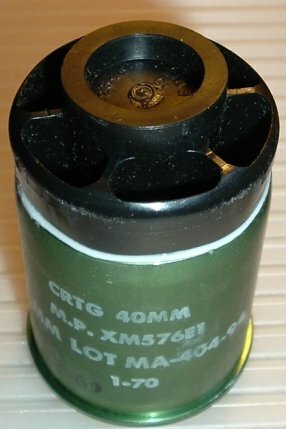 The actual payload is relatively small and is contained within a central cushioned cup and is closed by a snap fit cap. The sabot cup has a rear facing post for support and has 6 hollow cavities around the exterior perimeter to both lighten and presumably cause drag assist in payload separation. Note also the plastic ring beneath the sabot cup. The powder charge is isolated by a metal foil from the projectile resulting in a ‘hi-low’ pressure launch typical to the 40mm round. 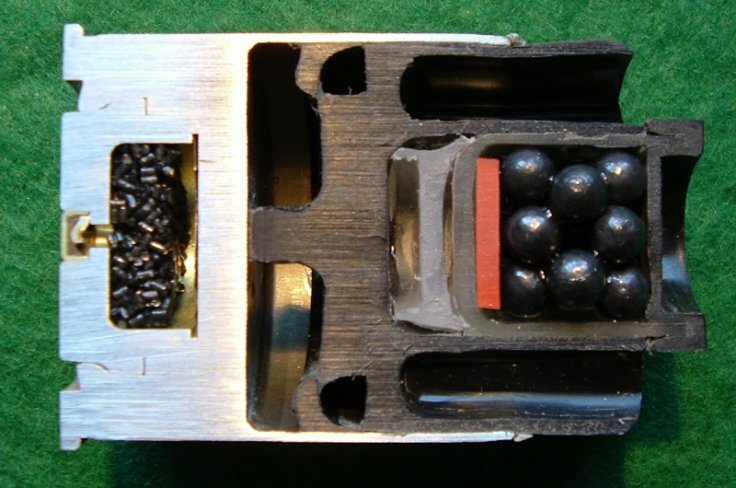 The flash holes (multiple perforations) between the powder and the projectile are not shown in the sectioned round. The ‘G.I.E.’ may stand for General Impact Extrusion, indicating a Canadian manufactured case. Copyright 2009 by the International Ammunition Association, Inc. All rights reserved.